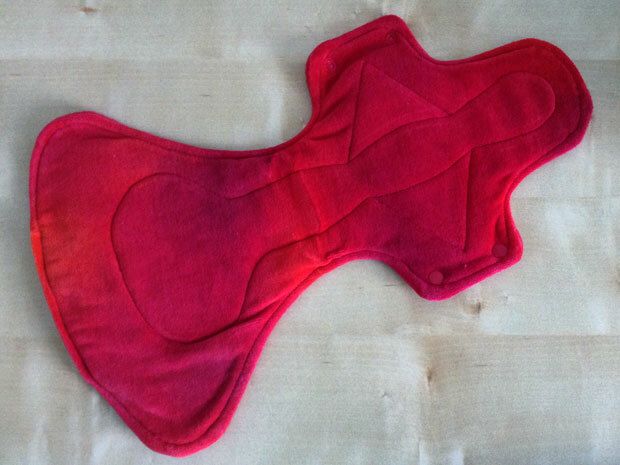 The cloth night pads by Honour Your Flow are made from 100% organic cotton. The velour is soft and comfortable and the pads come in lots of different fun tie-dye designs. This kind of design is good if you are worried about stains, though I’ve not had any problems with that. This night pad is very long and is flared at the back to ensure you don’t experience any leaks during the night — no matter how much you move around in your sleep. The inner layers are made from organic cotton fleece and waterproof PUL. The pads can be washed in your washing machine at temperatures up to 60 degrees. The quality is great and the pad looks the same after repeated washing. The pad is thin and comfortable even though it’s quite large. What’s special about the pads from Honour Your Flow is that you can get them in different widths depending on your dress size. This is a great way to ensure a perfect fit. Unlike most cloth pads, this one cannot be folded up into a neat package and sealed with the poppers for when it’s not in use, but that doesn’t really matter — you can still roll or fold it up and put it in a storage pouch. This is definitely the night pad for those heavy flow nights (and the rest too!) and for ladies who move around a lot during the night. You really don’t need to worry about any leaks with this one! 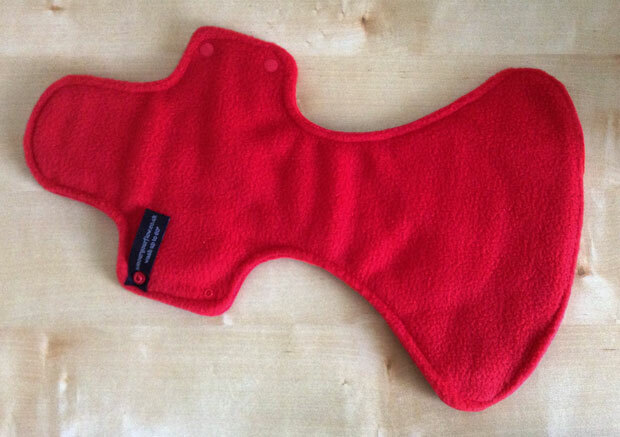 These night pads cost £11.00 each and are available from honouryourflow.co.uk. I was sent a pad for this review. As always, all my reviews are 100% honest and all thoughts and opinions are my own.